If your vehicle has been subjected to damage from hail or you’ve been involved in a minor accident in Lincolnton, North Carolina, you may be on the hunt for a good automotive repair specialist. Our company in Charlotte can provide paintless dent repair solutions and hail dent removal for your vehicle. This revolutionary process ensures that your vehicle will not need to go into a body shop for several days in order to receive repairs such as a minor dent removal. In fact, we are mobile and can come to your location! Many types of typical dent removal can sometimes take several days in the garage to repair, but through our experienced technicians, you can get paintless dent removal in Lincolnton, NC if your vehicle qualifies for this service. In order for a dent to be repaired using this service it’s very important that there are no severe chips or knicks in the paint. We can arrive on site and make our assessment in a convenient way for you. 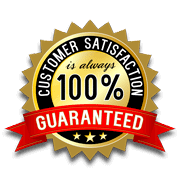 We can then perform repairs under a 100% satisfaction guarantee. If for some reason you are unsatisfied with the dent repair that we provide on-site, we can perform it again at no extra cost. Paintless dent repair is an excellent way that you can maintain the look of your vehicle and avoid having to pay costly insurance premiums. We can assess the damage and provide you with an immediate and free quote for your dent repair in Lincolnton. These repairs can even be done off site at your office, your home or even close to the site you received the dent. Piedmont Dent repair wants to offer some of the most affordable dent repair services in the area. We use the best tools on the market and some of the most experienced staff members. This helps us bring value right back to the customer! Contact us at Piedmont Dent Repair today to learn more about our paintless dent removal services in Lincolnton. We can get your vehicle back on the road quickly!